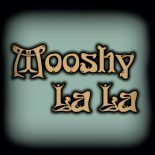 Mooshy La La | Bringing Bohemian Glamour from Decadent Decades Past! Beneath the blue suburban skies, just a stone’s throw from Liverpool’s famous Penny Lane is Mooshy La La’s AttiQue – a Bohemian Glamorous Vintage Treasure trove! Influenced by Barbara Hulanicki’s ‘BIBA’ of the late 60′s 70′s, & the hedonistic 20’s Jazz Age! This exquisite Vintage/Antique Boutique has a strong Art Deco theme! Selling Vintage Clothing (from Victoriana through to 80’s), Vintage Costume Jewellery, Artifacts, and Collectibles and Lots lots more. Carrying an eclectic mix of many eras all within a theme of Bohemian glamour! From authentic handmade 1920’s dresses to heavy beaded & sequined embellished jackets from the 80’s. Mooshy La La presents a varied selection of classic, mainstay, & one-off, pre-loved pieces, in keeping with this ethos. or our eBay shop for designer & pre-loved collectibles & limited editions.